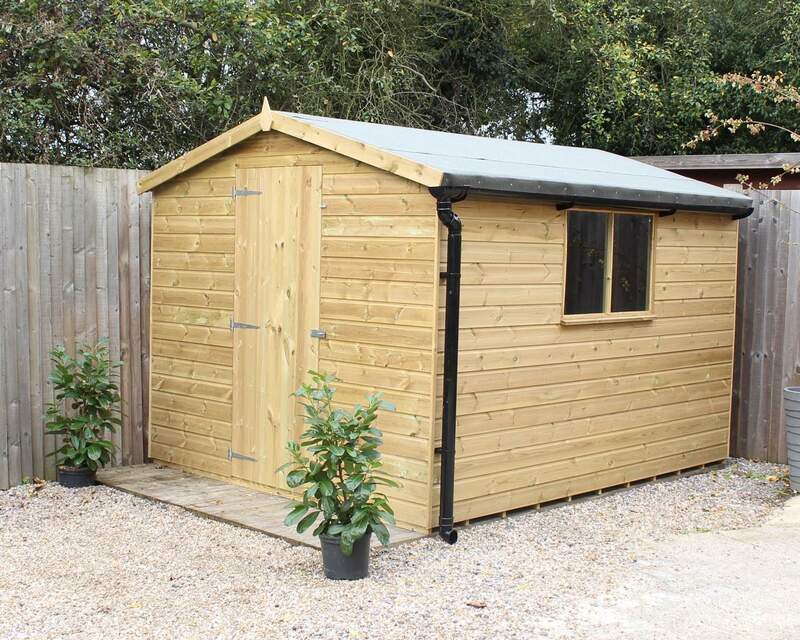 Our best selling, single door, wooden shed is perfect for those wanting versatility and easy storage for garden tools and equipment. 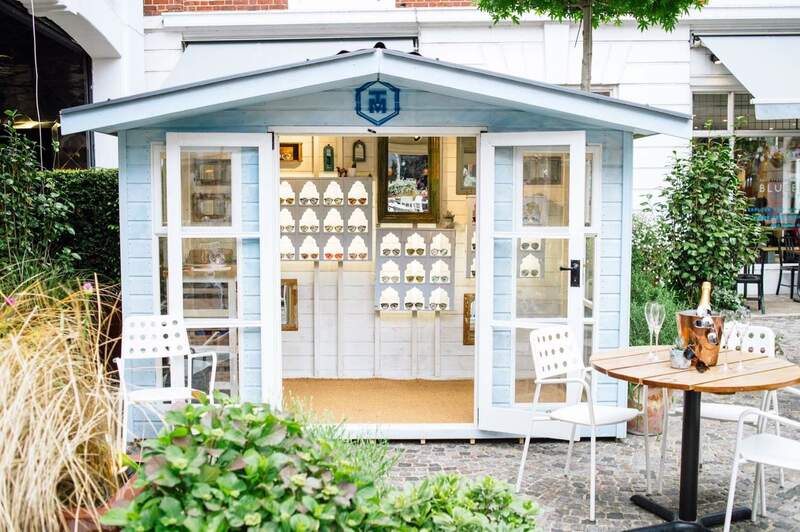 As with all our buildings, exact sizes can be manufactured to suit your garden or existing concrete pad. This building has been fully pressure treated with an addition of a built-in water repellent. 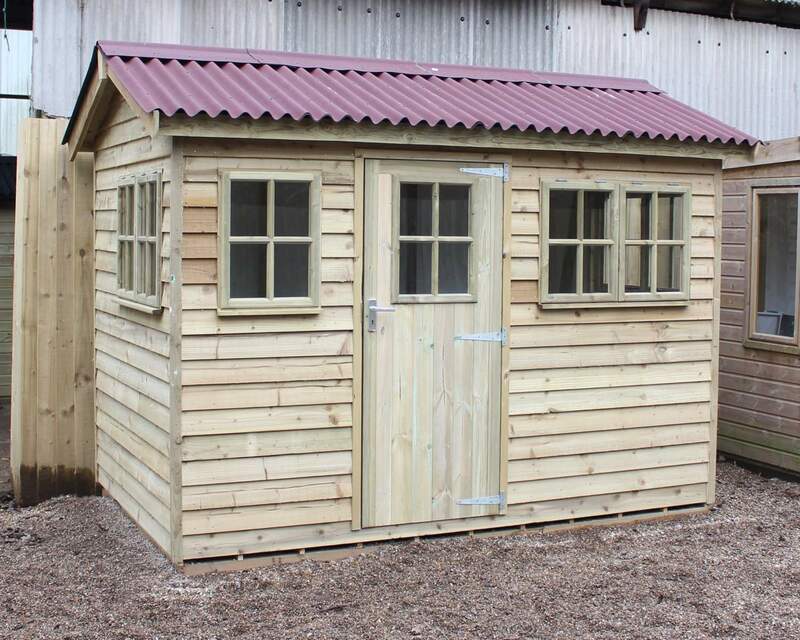 The Reverse Kent Apex garden shed is made from high quality, pressure treated Red Wood Tongue and Groove Shiplap cladding. Standard framing are pressure treated 47mm x 35mm planed battens with diagonal supports for strength and stability, The roof and floor are made from 12mm pressure treated tongue and groove boarding. The floor has runners (50mm x 25mm Pressure Treated battens) spaced approximately 1' apart to give adequate air flow. The Roof has main and Intermediate beams for roof strength and is overlaid with a good quality green mineral felt. 4mm Toughened glass is included. 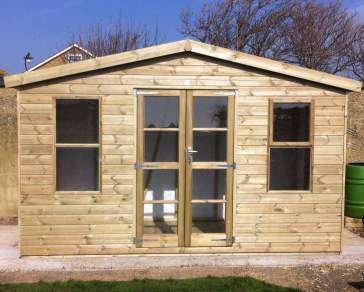 7 x 5 and 6 x 4 Sheds receive 1 window.